OUR SECOND EDITION OF HIVE IS HERE! Our second issue of HIVE has arrived and we can’t wait for you to check it out. 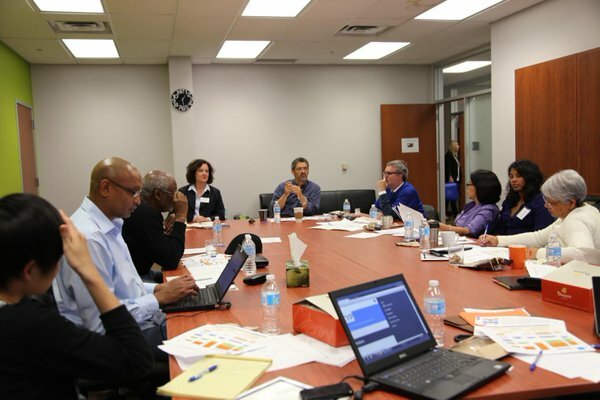 Our next steering committee meeting will be held at Ryerson University November 8, 9, and 10, 2016. Hi everyone! 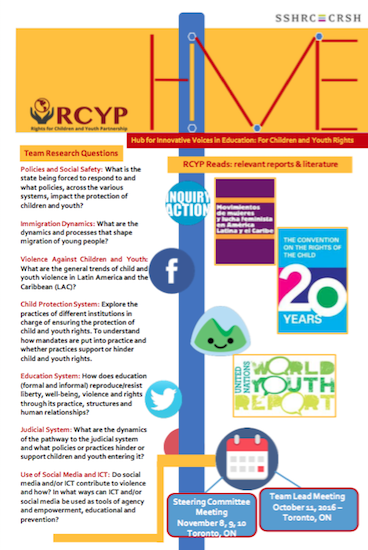 Check out our first ever quarterly newsletter for the Rights for Children and Youth Partnership. HIVE (Hub for Innovative Voices in Education: For Children and Youth Rights) is an interactive newsletter, available by clicking the link below. We hope you enjoy! 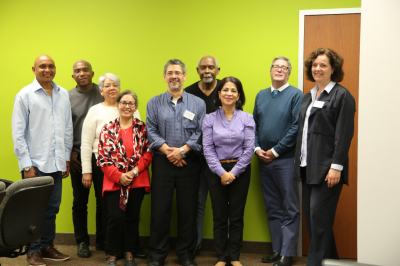 Acting on a UN recommendation to help prevent violence against children, a six-year, multi-institution study will shed light on the issues surrounding violence in Central America, the Caribbean and the diaspora populations in Canada and how to address those issues. Ryerson researcher and professor Dr. Henry Parada and the research team are looking for ways to quantify and document transgressions against children and youth in order to come up with a comprehensive plan to address the needs of the children and youth through a $2.5 million Social Studies and Humanities Research Council (SSHRC) Insight grant. Read the full article at Ryerson University. Steering committee meeting to begin to discuss next steps and how to move forward with the project.